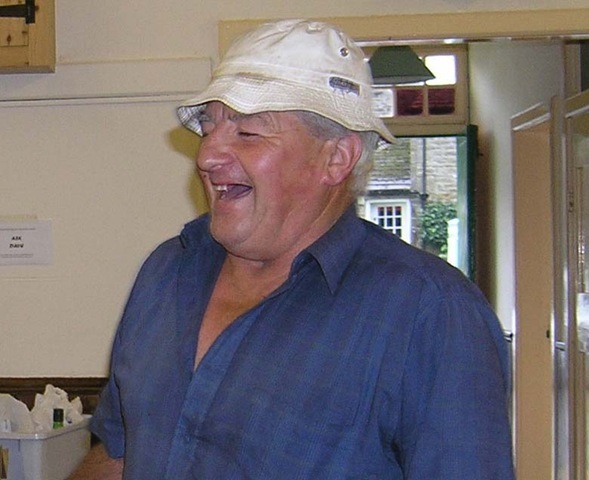 “For all of us there was sense of shock and disbelief at the suddenness of Reg’s death – but we comfort ourselves that he died as he wishes, with his boots on, on the moors when going to tend his sheep that he loved so much. Right: “Turbo Reg” David Pointon’s prize-winning photograph of Reg driving through Thornton Rust, sporting one of his Panama hats. “He was in his element wheeling and dealing at markets – and his cheerful banter and smiling presence will be missed in many places.” She said he seemed to naturally and unwittingly transfer his qualities as a shepherd to the way he related to people. He did enjoy being with people, treated everyone equally, and especially had time for the children in the village. “Thornton Rust will not be the same without his cheery smiling face, his taking time to stop and talk,” she added. Reg was born in Coverdale into a farming family. He worked on the Bolton Estate, at Howe Hills in Wensley, and on the Clifton Castle estate until he retired in early September. He and his wife, Julia, his constant companion and friend for 42 years, had then gone on holiday to Italy, where, as usual he had been the life and soul of the party. 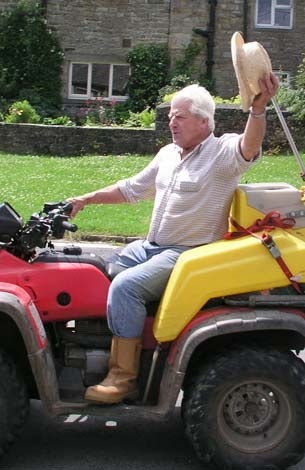 He adored his grandchildren (Michael, Lee, Chloe and Charlotte) and was proud that his grandsons were following in his footsteps by working on the Bolton Estate. Julia said he would also have been very proud of Annabel and James (his great niece and nephew) who read their own tributes to him during the memorial service. At the service the donations amounted to £1,440 which will be shared between Thornton Rust Institute, of which he was a trustee, and Aysgarth church. Close family, friends and neighbours had attended the service at Darlington crematorium before the memorial service. His ashes will be scattered among the trees he planted at Gibson’s Lotment. Below: Reg – the life and soul of the party. Almost every household in Thornton Rust was represented at his memorial service as all knew how much they would miss him.